We offer (and most customers elect to purchase) attic cleanup and insulation-replacement services after removing animals from an attic. 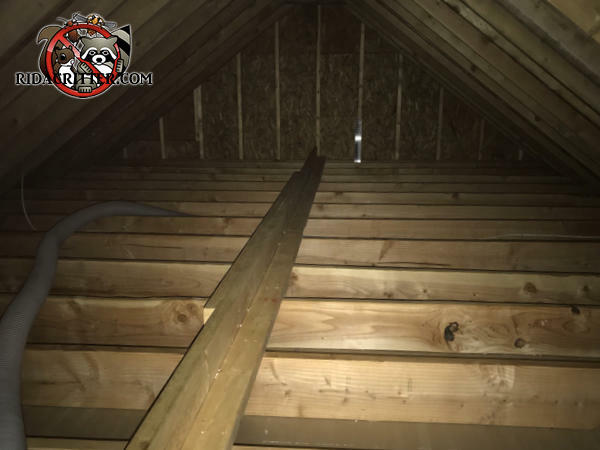 This picture is of the attic of a house in Atlanta after Justin removed both the squirrels and the badly-contaminated insulation. The next step is to apply new insulation.